inscription: Bottom edge has "Published by Consumers Association of Penang, 10 Jalon Masjid Negeri, 1 1600 Pulou Pinang. Printed by Julaprint, 2 Solok Sungai Pinang 3, Sungai Pinang, 11600 Pulau Pinang." Poster has a drawing of a large hand at the top with small people and building puppets dangling. The puppets are of several business men and a farmworker with a conical shaped hat. 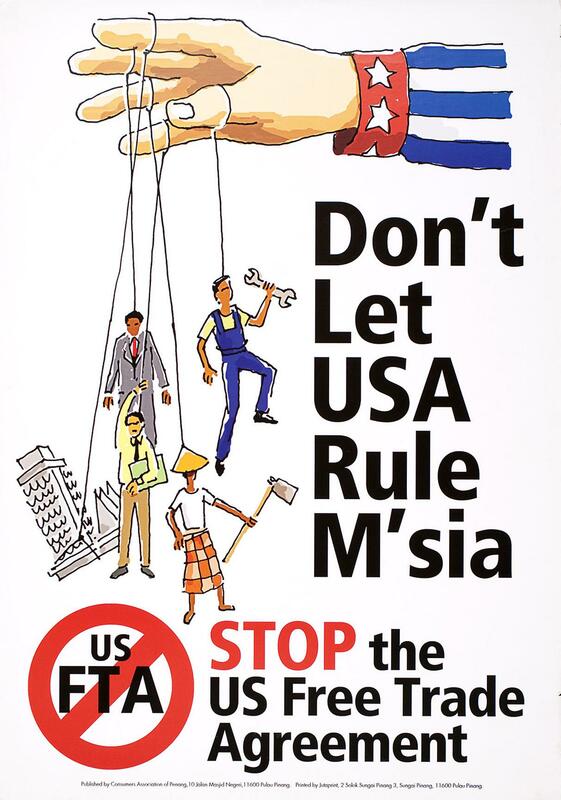 The lower left corner has "US FTA" with a large red circle with a slash through it. 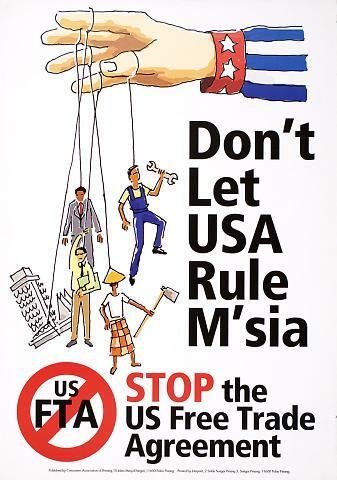 The poster reads, "Don't Let USA Rule M' sia/ Stop the US Free Trade Agreement."